Producing the ADGA Performance Pedigree! Note: Search Knowledgebase or view categories for additional related articles. Accurate performance records of production, visual trait assessments of type and pedigree are needed to develop a complete portrait of our individual animals in our herds. This portrait is the ADGA Performance Pedigree. Accumulating data on pedigree, production, type and auxiliary traits from as many animals and herds as possible provides for accurate genetic evaluations. 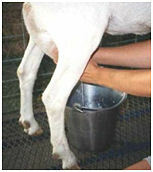 Genetic improvement is permanent and cumulative, so it is a sustainable and cost-effective method of directing and stabilizing dairy goat performance according to each breeder’s goals. ADGA has a unique national agreement to provide evaluations. Tools at ADGA: DHIR, Linear Appraisal, Sire Summaries, Performance Reports, USDA-AIPL developed genetic evaluations & DNA verification are a form of quality assurance for the selection of breeding animals. DHIR is the registry form of Dairy Herd Improvement. Dairy Goat Herd Improvement is a commitment to production related goals. This program includes year round monitoring of milk volume, components and herd health. 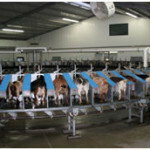 It is a nationally recognized system for evaluating dairy records. Careful breeding decisions result in ADGA registered animals having records that are consistently higher than the national averages.